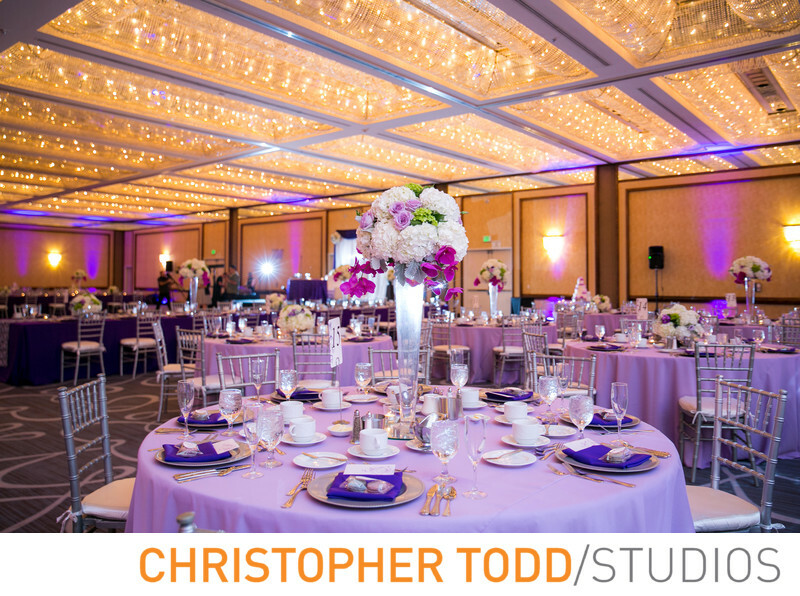 Hyatt Regency Long Beach can accommodate large weddings. The ballroom is grand when fully set up with tables, chairs and floral arrangements for center piece. The purple color scheme makes the room look stunning. Location: 200 S Pine Ave, Long Beach, CA 90802. 1/20; f/2.8; ISO 640; 28.0 mm.